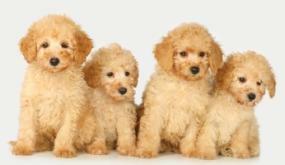 There are dog litter boxes you can use to potty train your toy or miniature poodle. Cat litter boxes may work, but for puppy potty training, use one made for dogs. You can also use dog litter with your cat box. When training a toy poodle or miniature, this becomes his regular bathroom, not the yard or newspapers. Condominium and apartment owners, or house owners without a yard, can try this. To train, put your puppy in a room like with newspaper training and cover the entire floor with newspaper. Put a thin layer of litter over the paper. Put the litter box off to one corner. Just like newspaper training, you remove areas of paper every 2 days until the only thing left to go potty on is the litter box. You can also use the crate training a puppy method to litter train. Don't take him outside to potty, take him to the litter box. That's very important. If you want your pup to go potty in the box, you need to consistently reinforce that. If you take him outside one time, then use the litter training the next time, you will confuse him. Puppy training pads look like disposable diapers with a scent and plastic backing that attracts your dog. These are placed where you want him to go. They are used like paper or litter training. Puppy pads are disposable or can be washed. They're more absorbent than paper. Washable pads are larger than disposables. You should buy 3 to 5 pads as they have to air dry after washing. 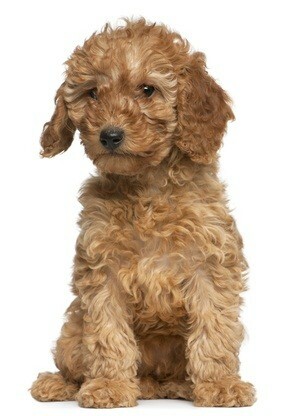 Mini and toy poodle care means frequent potty breaks for puppies. While your poodle may potty in the box, it's still important that he get exercise - by going for a walk - every day.